Mark your calendar and plan to join in the celebration of the first-ever IU Day on Tuesday, April 12. The worldwide celebration of Indiana University includes trivia, games, and special programming that will remind you about what makes IU great, including a video featuring IU School of Medicine faculty member and New York Times blogger Aaron Carroll. Dr. Carroll will bust some common medical myths: How much water do you need to drink on a daily basis? Does candy make kids hyper? Visit iuday.iu.edu on April 12 to find out. IU Day is also a great time to support the IU School of Medicine with a gift. Special challenge funds available that day can make your gift go further. 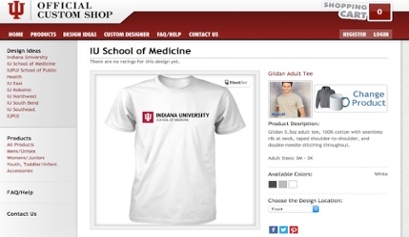 Go to give.iu.edu and search for the School of Medicine fund you wish to support. The Indiana University Clinical Trials Office has collaborated with research leaders in various departments throughout Indiana University School of Medicine and Indiana University Health to develop a schedule of recommended fees for industry-funded clinical research studies. The recommended fees are based on effort tracking, cost-based estimates, and past experience in amount of time and effort to complete each clinical research activity. Providing a consistent starting point for budget negotiations with sponsors. Ensuring research teams more accurately estimate time/resources required for research activities. Offering a fee schedule to develop a budget based on study complexity. Promoting transparency of research related costs for industry sponsors. Facilitating budget preparation as the current version of standard fees will be available in the OnCore® CTMS Chargemaster or from the CTO. For more information, please contact the Indiana University Clinical Trials Office at cto@iu.edu or 317-278-2546. The Indiana Clinical and Translational Sciences Institute, in partnership with the Indiana University School of Medicine, will host the first annual Indiana Musculoskeletal Symposium June 1-2 in Indianapolis. The symposium, “Repair and Regeneration of Musculoskeletal Tissues: Academia, Industry and the Battlefront,” will offer a forum for investigators throughout the state of Indiana in both academia and industry to present current work that is translatable and deliverable to the critical needs of soldiers at the battlefront and for all wounded warriors with acute or chronic musculoskeletal disorders. Paul F. Pasquina, M.D., retired Colonel, United States Army, will deliver the keynote address. Dr. Pasquina is the professor and chair of the Department of Physical Medicine & Rehabilitation at the Uniformed Services University of the Health Sciences (USUHS) and the director of the Physical Medicine & Rehabilitation Residency Training Program at the Walter Reed National Military Medical Center. He is a graduate of the United States Military Academy at West Point and USUHS. He completed a fellowship in primary care sports medicine from USUHS and Georgetown University. His current research efforts are focused on exploring new technologies to enhance the recovery, rehabilitation, and reintegration of combat casualties, particularly those with traumatic brain injury and extremity trauma. These efforts are primarily concentrated through his positions as the director of the Center for Rehabilitation Sciences Research and co-principal investigator within the Center for Neuroscience and Regenerative Medicine. Poster submissions are accepted until April 18. To submit a poster, click here. To read the full news release, visit the IUSM Newsroom. Registration is free, but required. To register for the meeting or view the full agenda, click here. Dana Jones, a third-year medical student at Indiana University School of Medicine – Northwest, has been recognized for her work in women’s health research, earning a first place prize for her poster presentation, titled “Pregnancy and an Expanding Right Breast Mass” from the American Medical Women’s Association (AMWA). Jones, a native of Gary, graduated from IU Bloomington, studied in Indianapolis and ultimately returned to her hometown to earn her medical degree and hopes to one day practice in her local communities. It was through her rotation with Anthony Gentile, M.D., an obstetrician/gynecologist in Munster, that Jones discovered a love for women’s health and a fascination with the pregnancy process. Jones was privileged to work under Kandice Ludwig, M.D., an assistant professor of surgery at IU School of Medicine in Indianapolis, who helped her through the process. She also had the support and encouragement from the administrative staff from the IU Northwest Campus. Jones’ poster is about a young pregnant female with a lactating adenoma, a benign mass that can occur during pregnancy from hormonal influence and can grow to a substantial size. Mammogram and ultrasound are less reliable during pregnancy. Therefore, it was biopsied and ultimately removed. Read more about Dana Jones and her pursuit of medicine here. The purpose of the Elite 50 is to recognize and reward achievement outside the classroom among 8,100 graduate and professional students. The Elite 50 represent the top one-half of one percent of the graduate and professional student body at IUPUI. Since awards for academic accomplishments already exist, the Elite 50 mainly focuses on achievements outside of the classroom. The Graduate and Professional Student Government (GPSG) will host the 2nd Annual Elite 50 Celebration Dinner on Wednesday, April 13, from 6 to 8 pm in Campus Center Room 450. To learn more about the Elite 50 award or to purchase tickets for the dinner, click here. To see all 2016 Elite 50 winners, view the flyer. MS1 students Jessica Wehr and Katherine Scheidler recently organized a fundraiser for the Clinica de Madre de Dios in Fort Wayne, a free clinic that services low-income residents in the Fort Wayne area. Qdoba restaurants gave 20 percent of the sales on Wednesday, March 30, to the clinic. 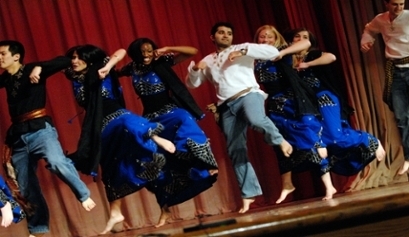 Many students, faculty, and staff participated in this fundraiser. MS2 students Carina Zahdeh and Srikanth Dasari organized the annual Physician Specialty Showcase on March 30. Physicians from several different specialties enjoyed dinner and conversations with students about their careers. On June 1-2, the Indiana CTSI and IU School of Medicine will host the inaugural Indiana Musculoskeletal Symposium at Hine Hall on the IUPUI campus with keynote speaker Paul F. Pasquina, M.D., Colonel, U.S. Army. Poster submissions are being accepted now through Monday, April 18. The symposium, “Repair and Regeneration of Musculoskeletal Tissues: Academia, Industry, and the Battlefront,” will offer a forum for investigators throughout the state of Indiana in both academia and industry to present current work that is translatable and deliverable to the critical needs of soldiers at the battlefront and for all wounded warriors with acute or chronic musculoskeletal disorders. To submit a poster, click here. Registration is free, but required. To view the meeting agenda and register to attend, click here. The National Institutes of Health is seeking images from the extramural community that highlight scientific research made possible by NIH funding. The agency will be posting the images to the NIH Image Gallery on Flickr in the Funded Research album. The NIH makes the images free to use as long as credit is given. The NIH Image Gallery is a resource for news media, educational institutions, and the general public. The gallery averages 5,000 views per day. Through the sharing of images, NIH hopes to distribute educational information, increase public outreach, and expand awareness of the important work being done by NIH-funded researchers. Images and accompanying information, such as title, credit information, and more, must be submitted by May 16. Details and submission requirements are available here. The application deadline for the following IUSM internal grant programs is 5 pm, Monday, May 2, 2016. For application forms and further information, click here. The IU Cooperative Center of Excellence in Hematology (CCEH) announces the availability of funding through the center's pilot and feasibility program. Applications should focus on the molecular and cellular biology of normal (non-malignant) murine and human hematopoietic stem and progenitor cell regulation, and the hematopoietic parameters impacting the efficient use of these cells in transplantation such as homing, cell cycle regulation, and the status of the hematopoietic niche. IU faculty at all campuses with the rank of assistant or associate professor or an equivalent research rank are eligible. Funding is for a maximum of $15,000 for supplies and fees. Application deadline is 5 pm, Friday, May 6. View this flyer for more information and submission details. For more information, contact April Maines at amaines@iupui.edu. Two scholarships are available from the Indiana University Melvin and Bren Simon Cancer Center with application deadlines in April and May. The IUSCC William J. Wright Scholarship Fund rewards third- and fourth-year medical students who are strong academically and desire to pursue a career caring for cancer patients. Successful applicants will also have displayed strong humanitarian qualities throughout their medical careers. The expectation for this award is that the student will devote at least two months of the academic year to a project furthering the care of patients with cancer, including a formal basic, translational, or clinical science research project, quality improvement project, health outcome research, or cancer awareness program. Awardees must attend Cancer Research Day on Thursday, May 12. Application deadline is Friday, April 15. Submission guidelines and application are available here. Students with research grants already supporting their education are not eligible. The IUSCC Merilyn Hester Scholarship Fund was created to assist medical and/or doctoral students pursuing degrees in biomedical sciences who have demonstrated an interest in and potential for conducting pediatric hematology or pediatric oncology research. Applicants must not have received any other type of scholarship or grant for the upcoming academic year. Funding is up to $8,000 a year with the number of awardees determined by the quality of applications and available funds in a given year. Submission guidelines and application are available now. Application deadline is Friday, May 6. Purdue University is pleased to announce the first Annual NIH-funded workshop, “Big data training for translational omics research” in West Lafayette, July 11 – 22. The two-week workshop will focus on providing biomedical researchers inexperienced in biomedical big data science with entry level training in big data science. The format of the workshop includes a series of problem-based activities to build familiarity and basic competency with established tools and publically available resources. These activities will be complemented by formal lectures on various topics important for big data science. The course is open to faculty, postdoctoral researchers, and graduate students. The costs of tuition, room, and board are covered for accepted applicants. For additional information and the online application please visit http://www.stat.purdue.edu/bigtap/index.html. The Health Education and Empowerment Advocacy Resource Team (HEART) will pair with a local West Lafayette elementary school to offer mental health support for students in first through fourth grade who have learning and/or mental disabilities. HEART is a Service-Learning initiative dedicated to providing medical students at the IUSM-West Lafayette campus with diverse student-led opportunities rooted in community outreach, patient education and interaction, and general advocacy for health and wellness in the Greater Lafayette community. The goal is to improve the health and well-being of disadvantaged and marginalized populations in the Greater Lafayette area by increasing health care access through clinic work and health fairs, promoting wellness through education about nutrition, exercise, and mental health, and also improving the socioeconomic factors that influence health care access and patient adherence. Working with an established after-school program that deals with kids who have learning disabilities and mental disabilities, this event will provide another voice of support. HEART has paired with a child psychiatrist in Lafayette to provide guidance and support. Activities will help children understand the various concepts of mental health. An example of an activity will be to use Coke products and Mentos to demonstrate various degrees of anger. To learn more about HEART’s upcoming events, email Ayden Zarkhah at azarkhah@iupui.edu or Mirzoy, Silai at smirzoy@iupui.edu. Plan to attend the Indiana Spinal Cord and Brian Injury Research Conference from 8 am to 1:30 pm, Friday, April 15, at the IU Health Neuroscience Center, 355 W. 16th St., in Indianapolis. Keynote speaker is Alison Cernich, Ph.D., ABPP-Cn, from the National Center for Medical Rehabilitation Research, National Institutes of Health. For more information, view this flyer. The American Academy of Dermatology (AAD) has designated each May as Melanoma/Skin Cancer Detection and Prevention Month. May 2 is Melanoma Monday. The IU School of Medicine Department of Dermatology, in cooperation with the AAD, will sponsor a free skin cancer screening on Monday, May 2, from 7 to 9 am at University Hospital, Eskenazi Dermatology Clinic, and Coleman Hall. Appointments are required. To schedule a free skin cancer screening, please call 317-916-3525.